Fresher is always better and this is as fresh at it gets. 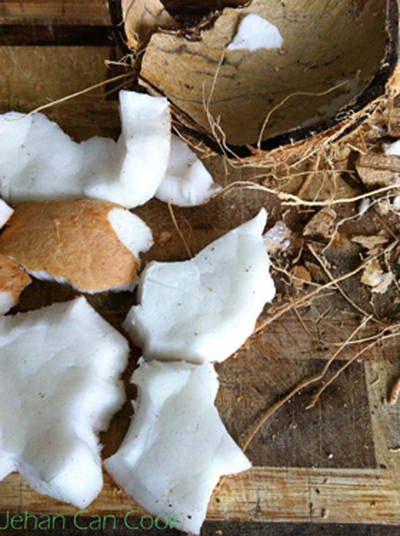 Making fresh coconut milk is pretty easy to make so there’s no excuse to use the canned. Unless you can’t find fresh coconut. Or if you are pressed for time. Or if you’re just lazy…I get lazy sometimes. Break the outer shell with a hammer. Using a small knife, remove the white flesh from the shell. 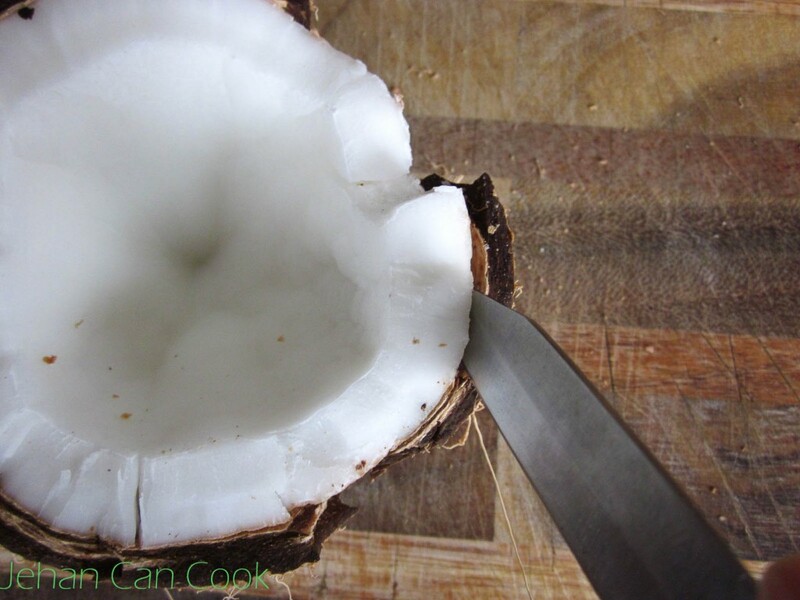 Place water and coconut in blender and puree. 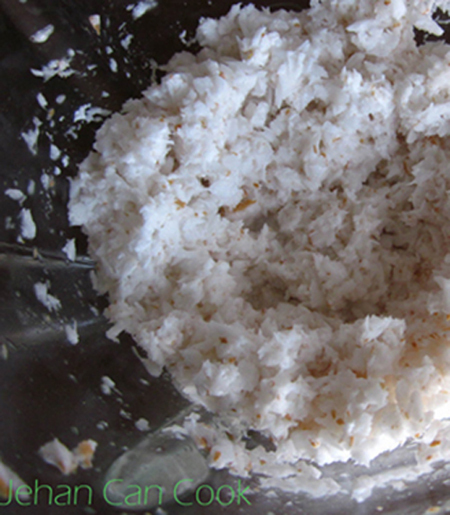 Blend until coconut is finely chopped. Place a strainer over a bowl. 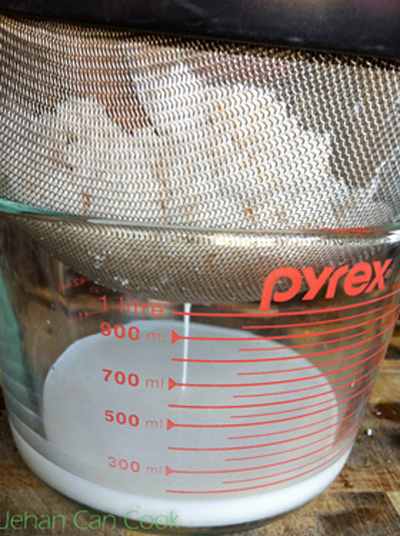 Pour coconut puree into strainer and allow to drain. There you have it! 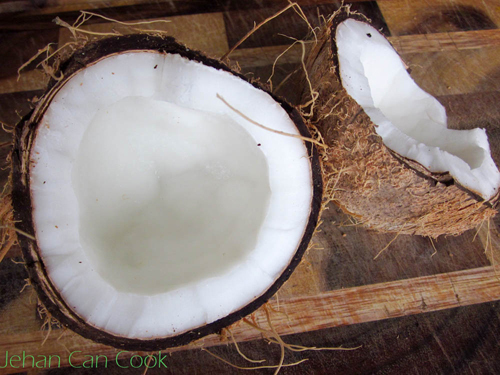 You’ve just made fresh coconut milk! I don’t store fresh coconut milk, I always use it right away. I enjoy your pictures. Food looks so good. I especially liked the chicken/potato curry. Presentation top marks. I was hoping you might have a macaroni cheese recipe, the creole kind with lots of pepper. I I like macaroni cheese semi-firm where it looks and tastes more appitizing than the firm dried ones I have had in the past.